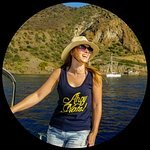 A top UK travel blogger with a passion for fun, food, style, adventure 💖Happiest when holding a mojito! From Cancun to Tulum, here are a few fave activities on the Riviera Maya - one of my favourite parts of Mexico! Robot restaurants, amazing sushi, nightlife and culture - this is one of my fave cities on the planet! Beautiful places you can visit from Venice in Italy! Part treehouse, part eco lodge with wildlife all around - this is one of the most incredible hotels in the world! Polignano a Mare, Puglia - you have my heart!